As rapidly as the technology has grown, so too have the uses for reliable high quality displays and, today, there’s hardly a field that does not at least one important application for them. While some uses, such as the screens that form part of computer systems, those used with closed circuit security systems and the TV sets found in almost every room of our homes, are quite obvious, others are less so and frequently far more critical. 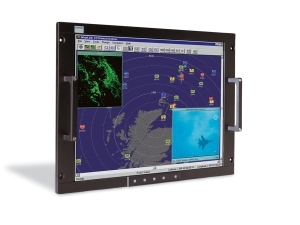 For these applications, Barco monitors are meeting the stringent demands, on a daily basis. In many of these critical uses for visual displays, the image quality is paramount. High resolution screens with sharp contrast characteristics that can clearly reveal even the smallest details are the answer and they are proving to be invaluable in both medicine and industry. Medical imaging has become a common diagnostic tool and is saving lives with the early detection of disease, not previously possible. During delicate surgical procedures, images provided by Barco monitors are helping to reduce risks and enabling new procedures as well as assisting in the teaching of medical students. In industry too, quality displays are needed for many critical aspects of process control while they are also helping to raise standards of quality control in manufacturing and engineering to levels not previously attainable. Many new visualisation technologies have been developed in recent years and have found their way into a wide range of industries where they play a vital role. Barco monitors have been in the vanguard of these developments providing the screens for use with innovative virtual reality applications and 3D imaging that have emerged as mainstays in both process and quality control procedures for a wide range of industries. Whether it’s a fleet of trucks ferrying goods between cities, an A380 Airbus with a full load of passengers, an intercity express train or an ocean-going oil tanker or container ship, someone will be watching and Barco monitors are to be found, the world over, hard at work in all of these applications. Signalmen no longer sit in huts and rely on telephone alerts to operate their signals and points. Instead they sit facing widescreen displays that reveal the movements of all traffic on the move in their sections of a line. At the airport, air traffic controllers play a vital role in directing take offs and landings, keeping an eye on aircraft in holding paths and overflying and need the proven dependability that Barco monitors consistently provide. Visual displays are certainly not confined to indoor use and event organizers, sports promoters and advertisers around the globe have been quick to capitalize on the fact. Today, a new breed of giant stadia cater for large crowds and a wide variety of sports and music concerts and the best way to ensure that everyone gets to see all of the action has proved to be the inclusion of one or more large display screens. Whether you prefer an international soccer or rugby game or a “Freshly Ground” concert it’s likely that Barco monitors will, once again be providing the visuals so, whether your needs lie in entertainment, advertising, traffic control or whatever, be sure to contact us for quality, cost-effective solutions.